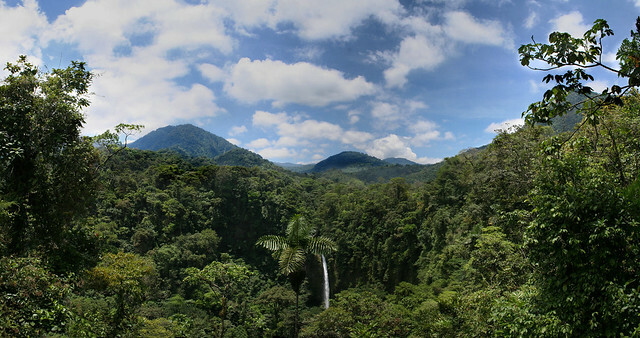 La Fotuna Waterfall Panorama | Flickr - Photo Sharing! Very beautiful photo...we're thinking of going to Costa Rica in the near future! Any words of wisdom? It was all fantastic. My favorite part was taking a 4 hour horse ride up from Arenal volcano lake up to the Cloud Forest. The trail was a bit muddy and hard for the horses at several points, but the views were stunning. Definitely do a zipline through the cloud forest as well. Exhilarating.